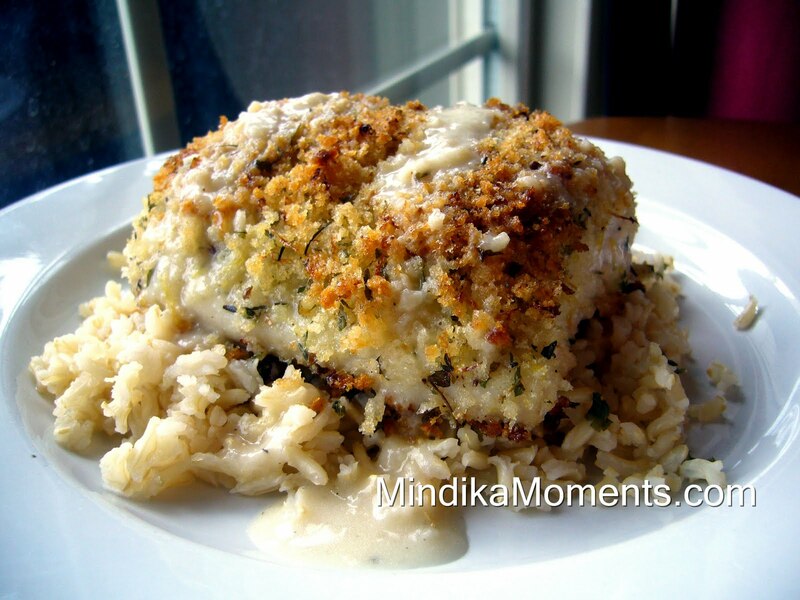 Mindika Moments: Fish...it's whats for dinner. Several years ago I was at a ICSC (International Council of Shopping Centers...yes there is an International Council for Shopping Centers...crazy but true!) Marketing Conference in San Diego, CA. One night we had dinner at this fun little Seafood Restaurant, right on the water. I had the most amazing Mahi Mahi dish. When I got back to Utah I was determined to deconstruct and re-create it. I love doing that! At the time, I was on a diet...so not only did I deconstruct it...I tried to make it much healthier than the restaurants. I really liked my version, it wasn't quite as rich, but I'm sure that had something to do with my "healthy" twists. I made it a few times and always enjoyed it, but I kind of forgot about it. Last week when my husband agreed to eat fish...shocking...I started thinking about this dish again. I hadn't made it in years, so I thought I'd resurrect it and see if it was as good as I remember. I'm sure glad I did. 1. Preheat oven to 400 degrees. Line a baking sheet with foil and spray with non-stick cooking spray. 2. Dip each fillet in the bread crumb mixture. Make sure each fillet is well covered in bread crumb mixture. Place the fillets on the baking sheet and spray the top of each one with cooking spray. 3. Bake for about 10-15 minutes, depending on your oven. Make sure the fish is done, but not too dry. 4. While the fish is baking, melt the butter in a small sauce pan. Add the olive oil and allow to heat. 5. Add the garlic and sauté over medium heat. 6. Add the flour and stir to incorporate. 7. Add the lemon juice and chicken stock, cook for a minute then add the milk. Continue cooking until the sauce starts to thicken. 9. Serve the sauce over top the baked fish fillets. Also serve with Seasoned Brown Rice (recipe below). *This dish can also be made with Talapi, or any other white fish. I’m sure Salmon would be good as well. 1. In a sauce pan over high heat, bring the chicken stock to a boil. 2. Add the chives, salt and brown rice. 3. Reduce heat to low and allow to cook for 50 minutes. I'm a BIG fan of fish. This recipe will be nice to have to change up my simple fish in the oven. It seriously looks delicious! I cooked this tonight for my hubby and I and he loved it! Yeah! Thanks so much! By the way, where does the milk go? Oh, and I served it with cauli-rice. It was so good! Have you ever cooked cauli-rice? It's my new favorite to use with different dishes. Tash, I'm so sorry, my bad...the milk goes in with the lemon juice and chicken stock. I fixed it on the recipe. Anyway, I'm really glad you guys liked it. I've never had cauli-rice. What is it? I'd love to know more.